Please note: item comes bagged, not in Playmobil blue boxes. The Playmobil Pharmacy is here to make sure your friends get better! 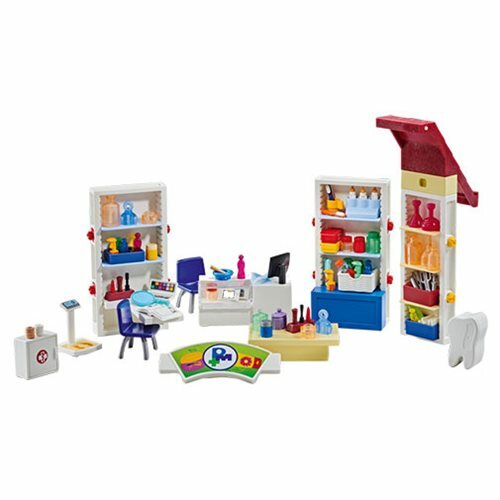 It has everything - mortars, pestles, scales, tubes, flasks, and desks to ensure your Playmobil people take the right pills. Ages 4 and up.